IT’S SHADE GROWN. IT’S ORGANIC. Shade trees provide a range of environmental advantages that include fixing nitrogen in the soil, decreasing erosion during the wet-season, and conserving native flora and fauna. Saffron provides training in organic fertilizing methods and provides shade trees to complement the coffee plants, along with nitrogen-fixing and weed-minimising ground cover. Whether the shade comes from existing forest or is regenerated on fallow soil, the coffee plants are protected from the sun which helps keep the temperature low and stable. In winter, the canopy overhead protects the coffee from frost. When coffee is grown under shade, it usually ripens slower and gives the cherries more time to mature and fully develop their flavors. Saffron believes allowing such time is crucial in this part of the world. Saffron wet-processes its shade-grown coffee. 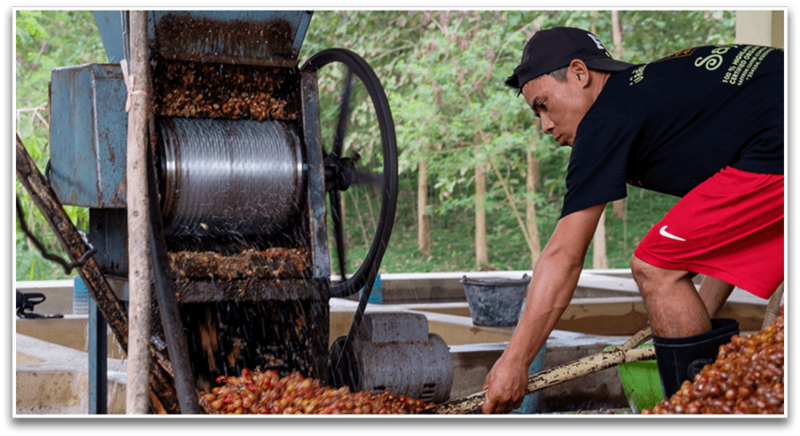 The wet process emphasises that farmers are an integral part of crafting the taste of a coffee bean and the washed process is able to highlight the character of a single origin bean like no other process. With the aim to improve farmer livelihoods in every way possible, it makes sense for Saffron to assist farmers to grow the region’s coffee to full potential. The washed process is able to highlight the true character of a single origin bean like no other process. It’s the reason why so many specialty coffees – including Saffron Coffee - are washed. Saffron Coffee is graded according to specialty standards and hand-sorted. Every single green bean passes through hand-sorting quality control. 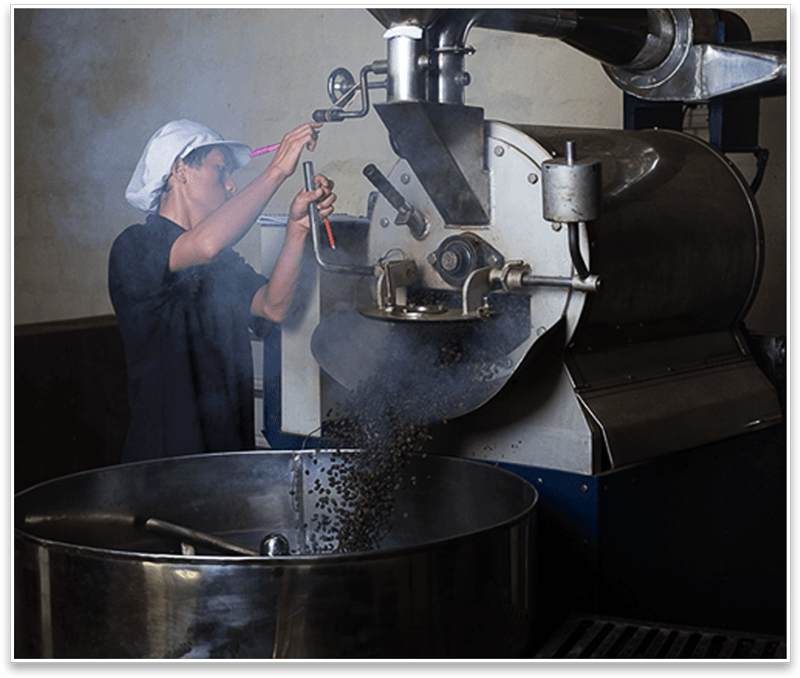 We acknowledge the vital role in constantly refining and improving processing, roasting, and brewing of our 100% Arabica coffee.